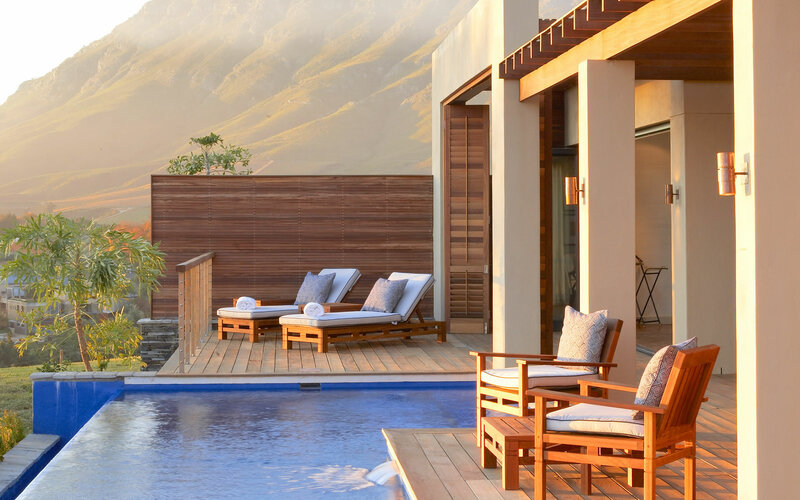 Only 5 minutes from charming Stellenbosch and less than an hour from Cape Town International airport sits this month’s property of the month – the treasured citadel, Delaire Graff. Unrivalled in setting and home to some of South Africa’s finest wine, accommodation and botanical wonders it is a sight to be savoured by all. This property is the diamond in the crown and represents the epitome of state-of-the-art architecture with its Cape Dutch impression. Go slow and take it all in. Climbing the meandering, tree-lined driveway, you are flanked by lush, manicured gardens, bright flowers and sporadic sculptures. But wait… you haven’t even got to the top. Once there, the mind-blasting views of the Franschhoek valley will no doubt, take your breath away. Turn around and prepare yourself to appreciate the true architectural beauty of the winery itself. There’s so much to look at and so much to take in. 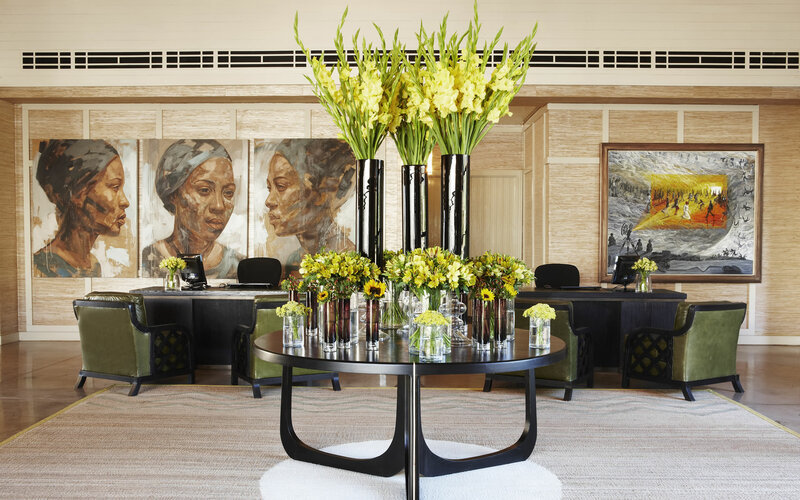 From the biggest peach pip floor in the world, to some of South Africa’s most renowned works of art, to delicate water fountains and epic overgrown Oak Trees. We assure you, every minute detail has been carefully considered and you will not be able to fault this estate for anything. Wandering through the delicious wines is a great place to start. Make sure you don’t leave without tasting the flagship Cabernet Franc, the estate’s best seller. 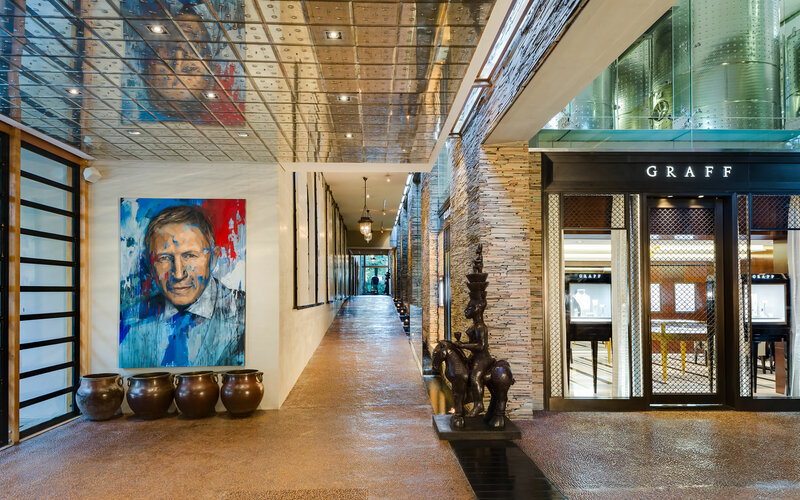 Since 2008 the Delaire Graff Cellar, one of the most advanced cellars in the region has been making world-class wines. The team of gifted chefs and sommeliers at the Delaire Restaurant take you on a culinary joyride. Savour the food as each plate is served with the utmost care and teeming with fresh ingredients, picked daily from the farms very own vegetable garden. The Slow Cooked Beef Short Rib will render you speechless especially when followed by the Coconut Namelaka, worth every calorie and much more! 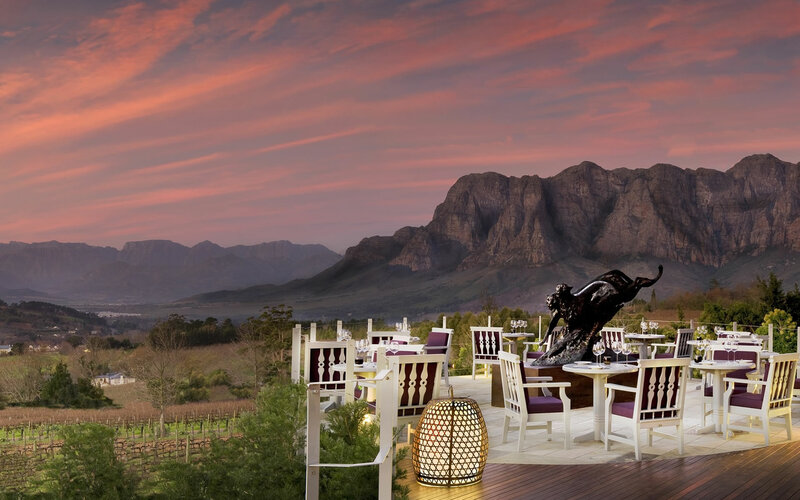 As if this is not enough Delaire Estate boasts a second restaurant, Indochine which sits with the lodges at the crest of the estate. 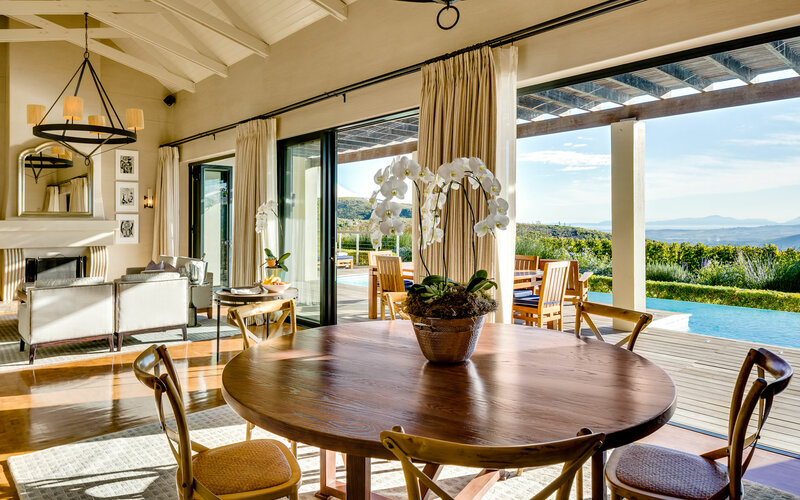 Inside a wave of blue and copper washes over you and equips you with the ultimate appreciation of the green gardens and winery beyond the wrap around balcony. Once utterly satisfied head home to a deluxe lodge and perhaps have a midnight dip in your heated infinity pool before unwinding into the elegant sanctuary. Large open spaces, enormous windows, high ceilings and neutral colours combined result in a soothing and peaceful embrace. Here you literally have your very own piece of heaven and can survey the lands below and beyond. Appreciate the splendour of the African sunset over a bottle of wine from your very own sundeck or take a hike up to “Leopards Landing” the estates top-secret picnic spot and have the chef spoil you to your very own basket of treats. For more on Delaire Graff click here.